Are you looking for the perfect pillows to go with your new bed? After choosing a mattress, the next most important consideration should be your pillows. While pillow shopping may seem fairly simple, the competitive sleep industry has brought more choices than ever to shoppers. What type of pillow you choose to buy will depend on a number of factors, including your sleep style, mattress type, and your personal sleep temperature. Here are our picks of the top pillows on the market today, along with some information about the different types, so you can pick the best one for you. Our top pick for the best pillow is the Coop Home Goods Adjustable Loft Pillow because you can add or remove filling for custom firmness. Our second favorite option is the Beautyrest Latex Foam Pillow because it’s machine washable and resistant to bacteria. The Sleep Innovations Memory Foam Contour Pillow is good for sleepers who need firm support for their neck and shoulders. It has a 100 percent cotton cover and will hold its shape over time. The manufacturer provides a five-year limited warranty with purchase. 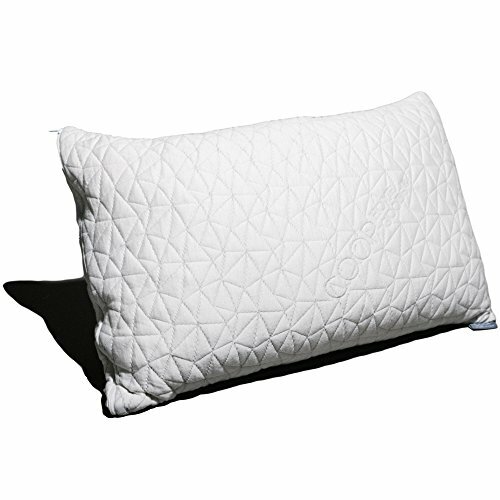 The Coop Home Goods Adjustable Loft Pillow encourages proper spinal alignment as you sleep. 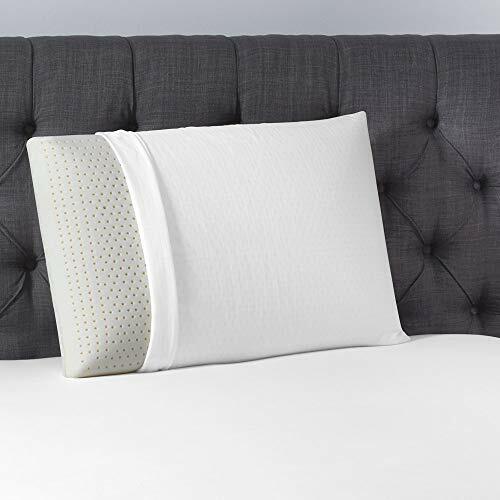 This fully adjustable pillow uses a blend of shredded memory foam that you can add or remove to adjust the firmness. Because the memory foam is in small pieces, it also allows for ventilation, so you don’t get too hot while you sleep. It’s dust mite-resistant, hypoallergenic, and machine washable. It comes with a five-year warranty that guarantees it won’t go flat within that time. 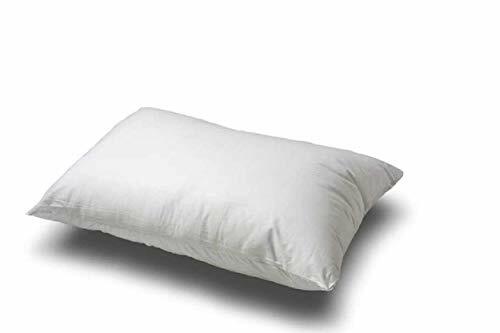 This pillow works well for all sleep positions and comes with a 100-night guarantee, during which you can return the pillow for a full refund. The Egyptian Bedding Goose Down Pillows use 1200 thread count covers for a soft feel and each pillow is full of purified, hand-plucked goose down. Although users report the pillow has a firm feel, it should soften over time. For warranty information, contact the seller directly on Amazon. This breathable pillow is a good option for people who have feather allergies. Stuffed with a down-like synthetic filling, it has a balanced amount of firmness and can be used comfortably during all seasons. When you purchase the MASTERTEX Down Alternative Pillow, it will come in a carrying case that works well for travel or storage. This product comes with a one-year warranty. 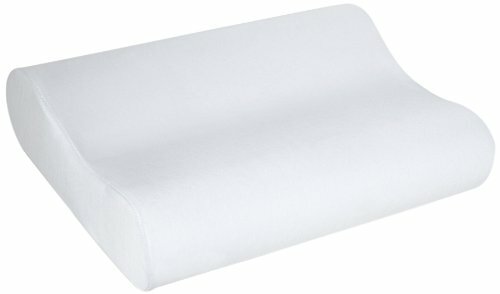 The Beautyrest Latex Foam Pillow is made from naturally-sourced latex. It has an antimicrobial design and is resistant to bacteria. This pillow will support your neck and head gently, promoting healthy spinal alignment. Since latex is a responsive material, it won’t flatten as quickly as other pillow materials. The 100 percent cotton cover can be easily removed and machine washed, as needed. In order to find warranty information, check the product label and corresponding information on the manufacturer’s web page. The Waterbase Pillow by Chiroflow uses a polyester fiber cushion over a layer of water for supportive comfort. There’s a thermal insulator around the layer of water. This helps to keep the pillow at an agreeable temperature while you sleep. The pouch is easy to fill and fits inside a standard queen pillowcase. 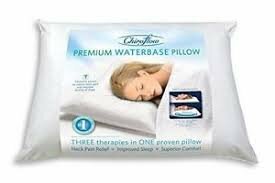 The Chiroflow Waterbase Pillow comes with easy-to-follow instructions. Each Chiroflow pillow comes with a three-year warranty to protect the buyer against manufacturing defects. If you’re a hot sleeper, you might consider the Beckham Hotel Collection Gel Pillow. 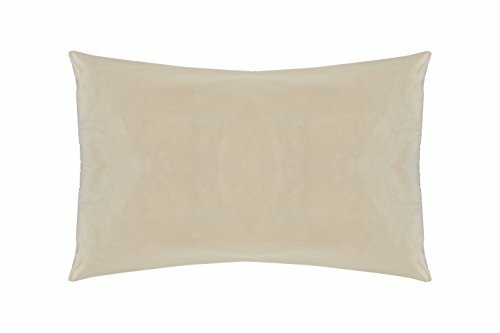 These pillows, which come in a two pack, are made with plush gel fiber that is both stain and fade resistant and can be washed in the washing machine. They are hypoallergenic, work for all sleep positions, and are designed to stay firmly in place throughout the night. Note that these pillows arrive flat and will fluff up over the course of an hour or so. When you purchase the Beckham Hotel Collection Gel Pillow, you’ll get a 30-day period within which you can return it for a refund if you aren’t satisfied. Kapok is a soft, fine substance from the ceiba tree and is similar to cotton in consistency. This comfortable material is popular for soft toys, cushions, and pillows. The Original Body Pillow is made with 100 percent natural kapok filling and uses a 100 percent cotton fabric cover. It’s a bit firm when it first arrives but it fluffs up over time. If the pillow starts feeling flat, just flip it over and it will feel like new. The pillow comes with a warranty against manufacturing defects that allows you to return it within 30 days if there’s something wrong with the product. 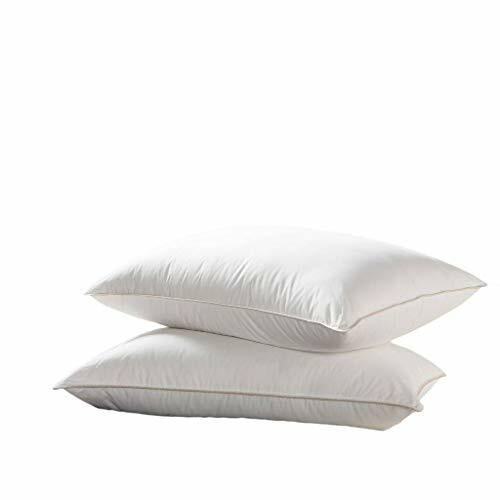 The Three Geese White Goose Feather Bed Pillow uses a 600 thread count cover made with Egyptian cotton and supports all sleep positions well. This medium-firm pillow uses an inner chamber full of feathers for volume and support and soft microfiber outer layers for plush comfort. If you buy the Goose Feather Bed Pillow by Three Geese, you’ll get a 30-day guarantee that allows you to return the pillow for a refund if you don’t like it. For warranty information beyond that, check with the seller directly on Amazon. 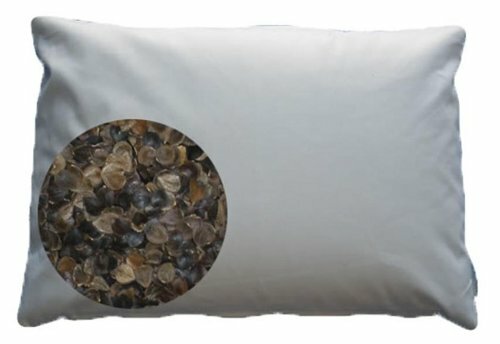 The Beans72 Organic Buckwheat Pillow is made with a 100 percent unbleached cotton cover and may help with muscle pain or tension, as it adjusts and conforms to your neck and head. This pillow is made without any herbicides or pesticides and doesn’t use any additives. It comes with a zipper that allows you to remove some of the buckwheat hulls for a more customized firmness level. If you aren’t satisfied with your Beans72 Buckwheat Pillow, you can return it within 30 days for a full refund. If you’re looking for a flat pillow made with natural materials, you’ll likely appreciate the Naturepedic Organic Cotton/Kapok Pillow. 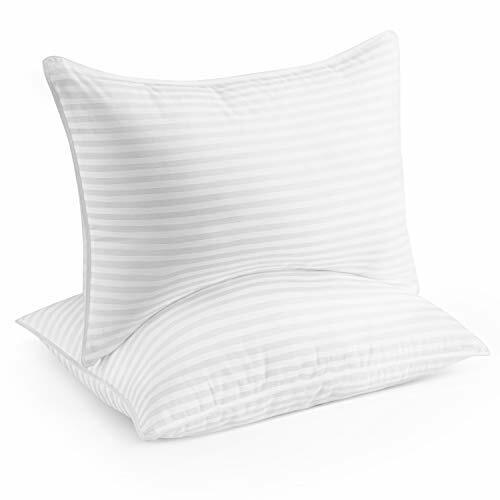 Since kapok only has one-fifth of the density of cotton, it’s a super lightweight pillow. It uses a 300 thread count cover made with organic cotton and uses a 50/50 blend of organic cotton and organic kapok for the filling. Warranty information isn’t mentioned on Amazon, but you can contact the seller directly on the website to find out more about it. 100% All Organic Cotton Fiber Medium Filled Queen Size Pillow. 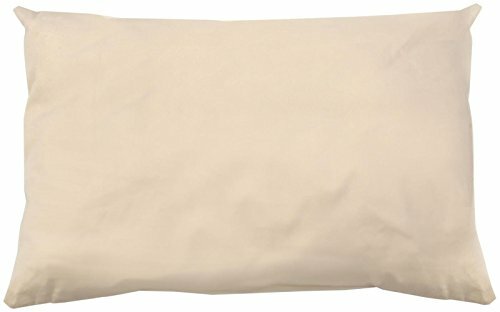 The 100% All Organic Cotton Fiber Pillow is made with no pesticides, no dye, and no harmful sprays or chemicals. The cotton filling helps disperse heat, so you can have a breathable, cool sleep experience. It is a medium-firm pillow, which can provide support for every sleep position. If you’re dissatisfied with your purchase for any reason, you may return it for a refund within 30 days of buying the pillow. The Sleep & Beyond Washable Wool Pillow uses Shropshire wool and 100 percent natural cotton in its construction. 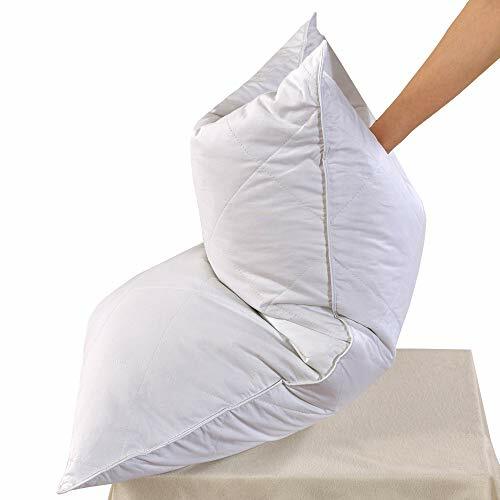 This pillow comfortably cradles your neck and head and doesn’t need to be cleaned as often as other pillows made with other fibers, although it’s best if you use this pillow with a washable cover for hygienic purposes. This pillow is a good choice for people who are sensitive to allergens, as it’s made with hypoallergenic materials. While the information doesn’t explicitly state that it applies to Amazon products, the manufacturer does offer a warranty. Make sure you contact the seller directly to find out for sure. Memory foam is a viscoelastic material that conforms to your body’s shape. A memory foam pillow will contour around your neck and head, offering comforting support and pressure relief. Since memory foam is a synthetic material, it’s naturally hypoallergenic and won’t attract dust mites or bacteria. Memory foam pillows come in all shapes and sizes, including wedge shapes that help with acid reflux or other health conditions. One issue to keep in mind, when it comes to memory foam, is sleep temperature (as it’s known for retaining body heat). Most modern pillows will come with cooling technology, such as gel, to combat the heat issue. And since memory foam is a synthetic material, it often comes with an “off-gassing” smell, which people compare to a new car smell. This shouldn’t be a problem for people who aren’t sensitive to odors, but some people like to air out their pillow for a few days before using it. If you suffer from pain or tension in your neck or shoulders, it could be worth it to try out a memory foam pillow as many users report that it helps. Shredded memory foam is the latest and greatest in pillow technology at the moment. While traditional memory foam pillows use one solid slab of foam to make the pillow, shredded memory foam uses smaller bits of material. The result is a softer, more moldable pillow. While memory foam pillows made from one solid piece can feel stiff, shredded foam yields more. Shredded memory foam pillows often come with an option to add or remove filling, so you can find your ideal firmness level. Some users report that shredded memory foam takes a long time to dry fully after washing and that it may require fluffing every so often to retain its supportive shape. Down is the layer of fluffy, small feathers that lie close to a bird’s body. A popular filling for blankets and pillows, down offers a plush feel and has great insulating properties. Down comes from ducks, geese, or even chickens and can vary widely in quality. 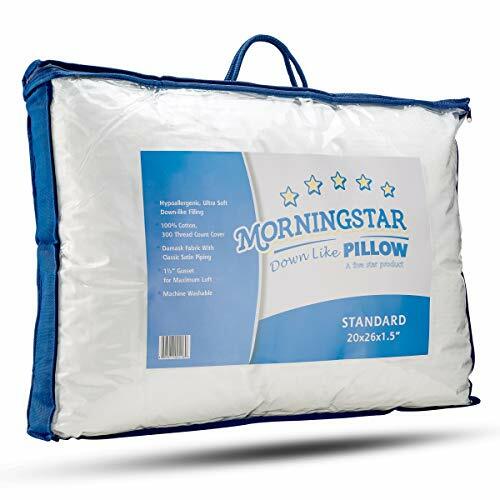 It has a soft, lightweight, yielding feel to it when used in bedding. For this reason, it’s a good material for stomach sleepers who shouldn’t use too firm or unyielding of pillows. However, down pillows come in all sizes and firmness levels and can work for all sleep positions. Down may not be suitable for people with feather allergies, so keep that in mind if you’re sensitive to allergens. As suggested in the name, synthetic down is a material designed to mimic real down. It is good for people who would like a feel similar to down but who are on a budget or are sensitive to allergens as synthetic materials tend to be hypoallergenic. In addition, synthetic down is a viable alternative for vegans or people who are concerned about the fact that real down is sourced from animals. While it’s not quite as powerful of an insulator as real down, it should be warm enough for most. Latex is a responsive, soft material with supportive qualities. Latex can be naturally sourced from tree rubber or made synthetically, from chemicals. It is a durable material that can sometimes sleep cooler than memory foam since your neck and shoulders won’t sink in too far, promoting airflow. As suggested, water pillows use water to support the sleeper. Unlike foam or down, water maintains its consistency, regardless of how much pressure is applied. Water pillows are also heavy, so they stay in place throughout the night and can be adjusted by adding or removing water. Water pillows do have a firm feel to them, so you should know that you like that type of pillow before buying one. Gel pillows are pillows made with cooling gel and may refer either to memory foam pillows that use gel in their foam or other types of pillows with a layer of gel. Gel pillows provide a cool sleeping experience, which is great for people who tend to sleep hot, but may not provide as much contouring as other pillow types. If you want a firm and supportive pillow that will help you stay at a comfortable resting temperature, a gel pillow could be a good option for you. 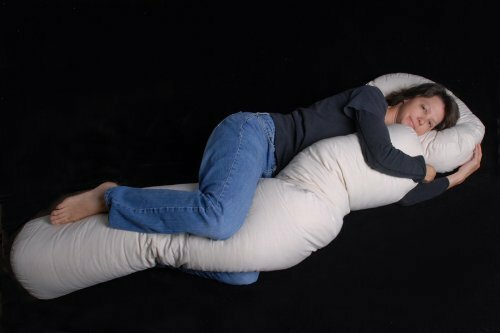 As the name suggests, a body pillow is a pillow for your whole body, rather than just your head. Typically narrow and long, they can be used for pressure relief, support, and general comfort. Feather pillows typically use feathers from the back and wings of ducks or geese, instead of the softest feathers close to the bird’s body, like down pillows. Feather pillows have a fluffy, soft feeling and may also be partially filled with down. They feel quite similar to full-down pillows, although some users report that the quills poke through the fabric more often with feather pillows. These types of pillows are lightweight and warm. While most people won’t have an allergic reaction to a feather pillow, people with a specific feather allergy might find them irritating. Buckwheat pillows use buckwheat hulls, which are naturally hypoallergenic and breathable. This filling is moldable, supportive, and promotes airflow for a comfortable, cool sleep temperature. Buckwheat pillows will conform to your neck and head to encourage proper spinal alignment and comfort. These pillows are fairly firm and heavy compared to other types. Kapok fiber comes from the Ceiba tree, which produces a seed pod fluff, creating a comfortable, soft filling for pillows. This lightweight filling maintains its shape well over time and feels similar to down. Kapok fiber is naturally resistant to mildew and mold and is naturally biodegradable. Cotton is often used in bedding but is not as common as a filler for pillows. Cotton-filled pillows are hypoallergenic and have a firmer feel than down, but they are also more absorbent than other types of pillows. This absorbent quality can mean that they get lumpy over time and you should make sure to clean them regularly, so they don’t start to smell. Wool is a natural fiber used in a number of textiles. This warm, fluffy material is eco-friendly and naturally resistant to dust mites and bacteria. Wool is a great option if you live somewhere cold and need to stay warm at night. 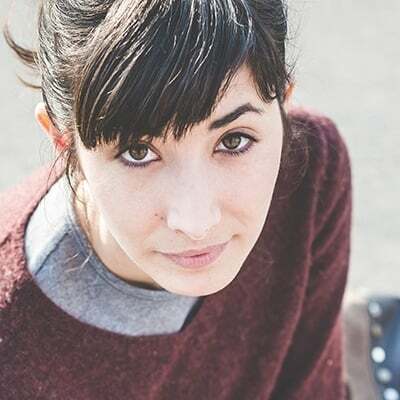 One potential downside of wool is that it’s not as convenient to care for as other materials and usually needs to be professionally dry-cleaned rather than machine washed. Now that you’re familiar with what you can expect from each pillow type, you should be able to choose the best one for your needs. The Coop Home Goods Adjustable Loft Pillow is a good choice for a wide variety of sleepers and should provide comfortable rest for most people.